The sweetest colour easy-readers from the magicians at Rainbow Towers. Are you a fairy fan? These will get you flying high. Sparkling fairy stories that have inspired thousands of little readers. But in lovely shorter books perfect for children who are a little bit younger. All the pretty pictures are now in colour, and the writing has been made a tiny bit easier. That means short sentences and not too many long words. 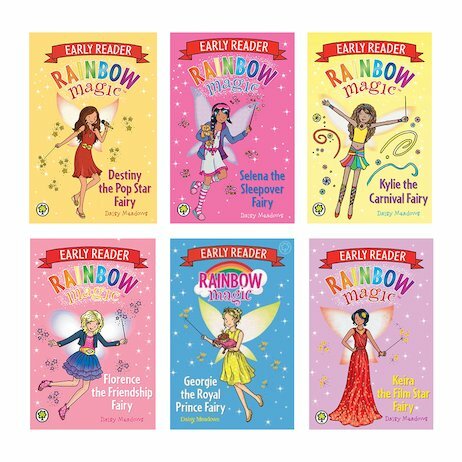 Come and explore the world of the Rainbow Fairies. Find out just how magical books can be.